Have you entered the Food in Jars Cookbook giveaway yet? Do it now. It’s not just for canning enthusiasts, although it might turn you into one. 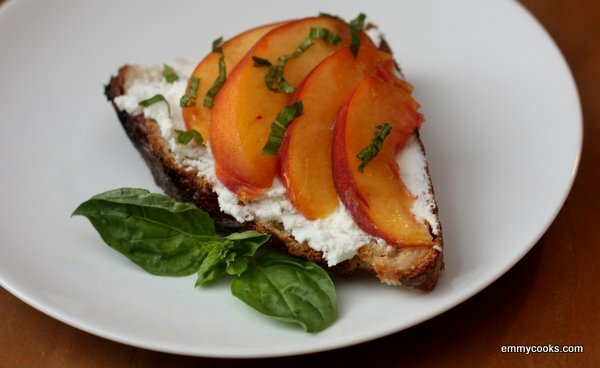 This entry was posted in Breakfast, Easily Multiplies to Feed a Crowd, Food, Fruit, Recipes, Snacks and Apps and tagged breakfast, crostini, CSA recipes, peaches, summer recipes, toast, what is the difference between a crostini and a bruschetta anyway? on September 28, 2012 by emmycooks. I love many vegetables. Most vegetables, even. But I do not love fava beans. So I only cook fava beans when they appear in my CSA box. One or two pounds can be manageable if you have half an hour to kill: string the pods and pull them open, push out the beans with your thumb, simmer them for a few minutes, drain and run them under cold water, then peel the bean-skin from each and every individual bean. Then see if you find yourself admiring the fava’s color and flavor, or if you find yourself vowing to just steam some broccoli next time. If you forget your vow and find yourself with another pound of favas, though, this recipe is one of my favorites. 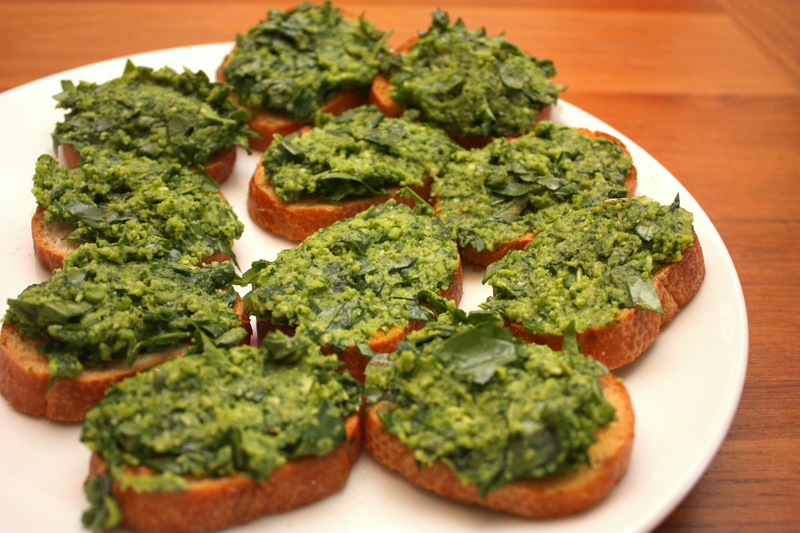 This entry was posted in Beans and Other Legumes, Food, Recipes, Snacks and Apps, Vegetables By Themselves and tagged arugula, crostini, fava beans, labor of love, Nash's CSA, summer vegetable recipes on July 12, 2012 by emmycooks.